Forty-four African countries yesterday proceeded with the signing of the agreement that established the African Continental Free Trade Area (AfCFTA) without the two biggest economies, Nigeria and South Africa, and nine others. 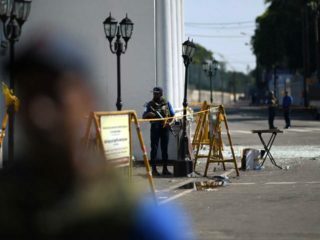 Although a minimum of 22 countries were required to sign to get the project started, 44 nations okayed the pact to establish the free trade bloc within 18 months. The other countries that did not sign are Botswana, Lesotho, Namibia, Zambia, Burundi, Eritrea, Benin, Sierra Leone and Guinea Bissau. The African Union (AU) started talks in 2015 to establish a 55-nation bloc that would be the biggest in the world, in a bid to increase intra-regional trade, which is currently 15 percent of the continent’s total commerce. President Muhammadu Buhari yesterday declared that his administration was not disposed to entering into any agreement that would make the country a dumping ground and jeopardise its security architecture. 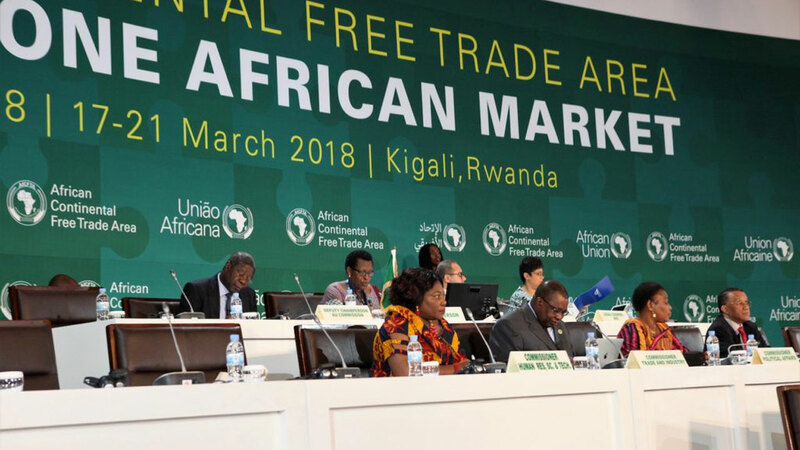 Consequently, the Federal Government announced the setting up of a committee to review the Continental Free Trade Area (CFTA) framework agreement which was signed in Kigali, Rwanda. Nigeria had pulled out from the ongoing African Union extraordinary meeting as a result of protest by the Nigeria Labour Congress (NLC) among other stakeholders who argued that the free trade agreement would not augur well for the country. Briefing State House correspondents after the Federal Executive Council (FEC) meeting at the Presidential Villa, Abuja, the Special Adviser to the President on Media and Publicity, Femi Adesina, said it was expected that the minister of labour would call for a stakeholders meeting with labour movement to brainstorm on the implications of the CFTA framework agreement. “The explanation from the president which the FEC bought was that he would not want to agree to anything that would hinder local entrepreneurs. And on the surface, except if proven wrong, is that that agreement has the capacity to affect local entrepreneurship. “He also said that anything that could encourage the dumping of finished goods in Nigeria was going to be contrary to our interest. So, it is one of the reasons he declined. Then he said the country was yet to fully understand the economic and security implications of the agreement. The FEC presided over by Vice President Yemi Osinbajo, penultimate Wednesday gave approval to President Buhari to sign the CFTA on behalf of Nigeria. But Buhari last Saturday cancelled Nigeria’s participation in the signing of the agreement even when some delegates from the country had arrived in Kigali for the meeting. Local manufacturers under the aegis of the Manufacturers Association of Nigeria (MAN) have stated that they would not support Federal Government’s adoption and ratification of the AfCFTA unless issues of market access and enforcement of rules of origin, among other concerns, are addressed. According to MAN, the stand of the private sector is a result of lack of consultation and non-inclusion of inputs of key stakeholders before Nigeria’s position was presented at the meetings of the African Union-Technical Working Group on CFTA in the build-up to the negotiations. The private sector operators said the trade deal would not be in national interest, despite Nigeria’s Minister of Trade and Investment, Dr. Okechukwu Enelamah, chairing the fifth meeting of African Union Ministers of Trade (AMOT) that adopted the legal instruments constituting the AfCFTA, which were eventually adopted by the Assembly of Heads of State and Governments. The AfCFTA is expected to create a trade bloc of 1.2 billion people with a combined gross domestic product (GDP) of more than $2 trillion. The agreement commits countries to removing tariffs on 90 per cent of goods and to liberalise services. MAN President, Dr. Frank Jacobs, told journalists yesterday that the issues of market access that allowed only 10 per cent of products to be protected as well as government’s mechanism for enforcement of rules of origin should be defined before local producers could support the agreement. MAN insisted that Nigeria’s national interest should be the primary consideration in the decision to sign such an arrangement. Jacobs urged the government to set in motion a process that would enable all stakeholders review the text of the AfCFTA agreement and come up with comments on areas that would not serve the best interest of the Nigerian economy.